Malcolm was born and raised in Atlanta. He had a life-long career as a cook until he started having health issues that prevented him from working. His struggle with chronic pain in his feet led to several trips to Grady Memorial Hospital. When he was discharged last November, he began staying at Central Presbyterian Church, where he met a man that was working with United Way to reach out the homeless population. When he completed the five-month program at the church, he was introduced to Gil and Homes of Light. Since April, he has been a transitional housing client and has more recently moved into permanent housing with a roommate. He feels that being in the program has benefitted his health greatly because he has been able to rest and recover. 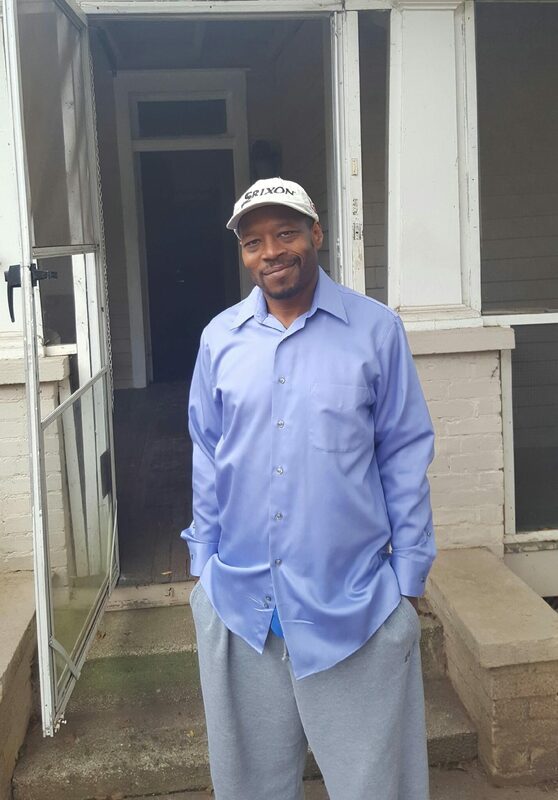 Besides housing, Malcolm says that helping him with bus fare so that he can travel back and forth from his doctor’s appointments has been a blessing. Although he is now considered a graduate, Homes of Light has “continued helping him”, he says. He is looking forward to stability and thinks that his new permanent residence has been the most important step to a full recovery.